Marin County is an affluent county located just across the Golden Gate Bridge from San Francisco. It's natural beauty, diversity, and scenic mountain ranges have blessed it with some of the most spectacular views in the Bay Area. Marin County sits on a peninsula bordered by the Pacific Ocean to the west, San Francisco Bay to the east, Solano County to the north, and the City and County of San Francisco to the south. It's one of the most affluent counties in the Bay Area. In 2009, Marin County boasted the 5th highest income per capita in the U.S. for the month of May. Both poverty and unemployment is low and there are a lot of great schools and universities in Marin County. Not to mention its own collection of high-tech companies including Autodesk and others. Overall, Marin County is a great place to live for families and urban professionals. It has a lot of vibrant cities and neighborhoods which feature their own blend of upscale amenities, vibrant urban areas, rural charm, and a lot of open spaces. Marin County is home to 41 cities, census-designated places, and unincorporated communities. The area offers a diverse mix of homes and real estate properties from luxury single-family homes and estates, to condos, townhouses, and lots and land. Most of the population is located on the east side of the county. And each city, neighborhood, or community has something unique to offer. Equestrian properties are also available. Belvedere and Tiburon - These two adjacent communities are known as the most prestigious and desired addresses in the area. Known for their exquisite views, amenities, and island-like living, both locations are home to some of the most coveted waterfront properties in the area. Sausalito - Located just minutes away from San Francisco, this small picturesque town is known as both a wealthy artistic enclave and a scenic tourist destination. It's notably resembles the coasts of Southern France with its large number of houseboats and the beautiful homes that colorfully dot its hillsides. Larkspur - This centrally located charming small town offers a little bit of everything that makes living in Marin County great. The town's vibrant downtown area is home to luxury boutiques and award-winning restaurants. Contact Richard Sarro now and learn how you can find the perfect home in Marin County today. Blessed with natural beauty, Marin County is a nature-lover's dream. Residents can easily enjoy just about any kind of outdoor activity and recreation. The county features numerous ecosystems from oak woodlands and mixed evergreen forests to coastal strands and redwood forests. The coasts of West Marin offer great beaches and surf-spots. 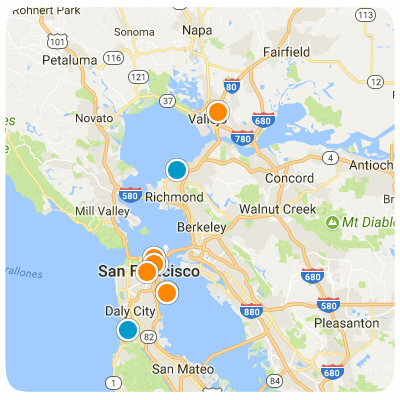 Foodie cities include Sausalito, Mill Valley, Corte Madera, Larkspur, and Kentfield. Explore the single-family homes, condos, townhouse, vacant lots and land in Marin County. Contact San Francisco and Bay Area Realtor Richard Sarro today.